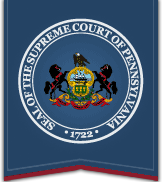 On April 1, 2012, AOPC implemented a new protocol in its Magisterial District Judge System to ensure that when the official paper case records of an individual case have been or should have been destroyed in accordance with the Record Retention and Disposition Schedule with Guidelines (“Schedule”) promulgated pursuant to Pa.R.J.A. No. 507 that the public web docket sheet for the case will no longer be accessible. These actions are consistent with the Schedule’s purpose to implement record disposition consistently throughout the UJS. Therefore, destruction of the official record pursuant to the Schedule will also result in the electronic case record information regarding the record no longer being accessible to the public. MDJ docket sheets are available for specific docket types (see Participant Name search type). If you want to search by docket number, you will first need to fill out the county and court boxes. If you do not have that information, you cannot search by docket number.